We are now approaching the business end of the season with only a handful of games left to play. Each one more crucial than the last if we have designs on finishing top of the pile. Felton, ourselves and Wideopen all jockeying for position at the top of the pinpoint tree. So with this fixture with Wideopen it was paramount that we didn’t submit any ground; win or at least a draw was our immediate goal for this game. Again we had a strong squad to choose from; Harry B was back from his visit to Wembley along with Euan and Charlie W fresh from scout camp last week. Unfortunately Blake, Charlie P and Noah were unavailable, but we did have Sam returning from injury and Oscar was back from county duty. So the starting lineup was Oscar in goal with a back four of Daniel, Martin, Thomas and Jack. In midfield we had Ben, Harry B, Euan and Charlie W starting with an attacking duo of Lucas and Sam. Ready to come on at moment’s notice were Will and Harry F.
The boys were under no illusion that this would be an easy game and that they needed to be at the level they played at when they were up against Felton recently. So as coaches both Chris and I were not expecting them to dominate the first 20 minutes the way they did. During that spell Wideopen struggled to get past the halfway line. 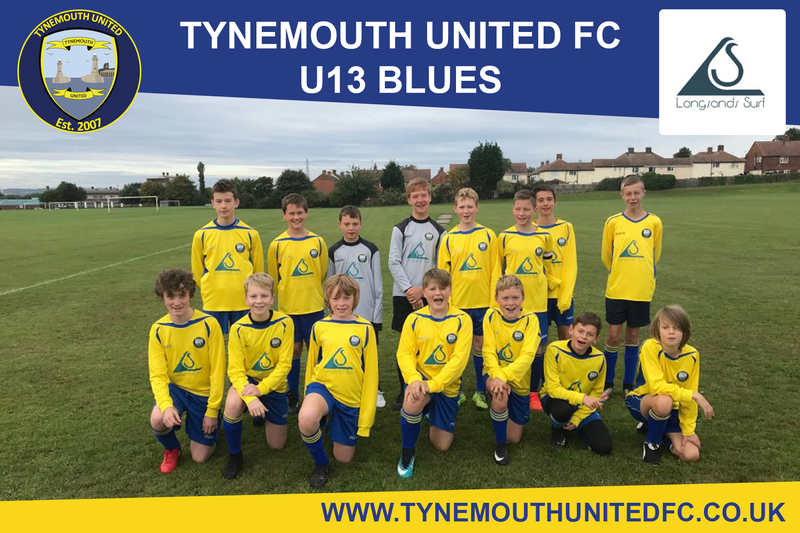 Tynemouth were superb and one regret is that we only managed to score the one goal in that phase of play. Within the first minute of the match Sam almost scored but their keeper was quick to the ball. Lucas was then close on a few occasions and Sam was constantly posing a threat, the final killer pass was not quite there so all these chances went begging. Then on the 7th minute Harry B played a pass into the penalty are for Euan to control unmarked and shoot low past their keeper. All was looking good at this point, chances were still being made and at the other end stong defending was limiting Wideopen’s opportunities. Substitutions were made with Sam and Charlie W off for Harry F and Will to come on. Towards the end of the first half Wideopen started to get more of a foothold in the game; Thomas making some excellent tackles and Jack always in the right place to make crucial interceptions. Tynemouth held stong and finished the half still in front. Changes were made for the second half with Sam and Charlie W replacing Lucas and Ben. Harry B came close to extending our lead but the keeper was able to make the save. Will was busy making tackles and slowing down attacking runs down the wings. Martin, as usual, was strong with his tackling; doing his best to defend our lead. Unfortunately Tynemouth’s goal was breeched in the 45th minute when Oscar courageously blocked shot after shot in the melee happening in the penalty area ultimately for the ball to be headed over our keeper. Wideopen sensed they could more out of the game and started to up the pressure. Oscar made a superb double save to keep us level. Tynemouth upped their energy levels to try and regain the lead almost doing so when Harry B went on one of his mazy runs only to be tackled when he was about to pull the trigger. The game continued with both teams taking it in turn to attack and defend hoping for that winning goal that just wouldn’t come, the game finishing a draw. Overall a fair result with us starting very strong and Wideopen finishing the stronger. As stated before, its playing matches like this that really show the progress the team has made; how to score against a well organised defense and how to stand strong against persistent attacks. Every player had an excellent game but the MOM was Oscar because of his excellent shot stopping and accurate distributing.